На этой странице, в течение недели мы постараемся воссоздать как это было, используя фото и видео зарисовки, заметки, отзывы и комментарии участников и судей - следите за обновлением страницы!! А теперь самое срочное и необходимое -- РЕЗУЛЬТАТЫ!! ELBRUS RACE - Zatorska 2016 - running after dreams. 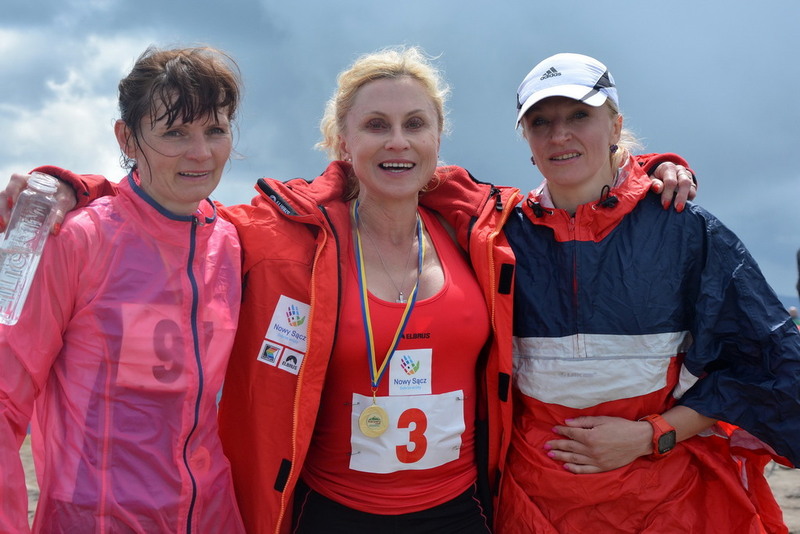 Izabela Zatorska - the best in the history of Polish mountain runner . It is considered a precursor of this sport in Poland. Iza wants to prove that it is never too late to fulfill their dreams . He wants to run up on Elbrus and attempt to break the world record among women. Iza runs for 35 years . Adventure started running at the age of 15 years. I love what I do , it is my great passion - says Iza . With the success competed on the track , in cross country and cyclo-cross street but love found in mountain running . Trail running is a space that is the beauty that surrounds us. It is the contact with nature and the element . Each course is different and always in the mountains is important that first of all fighting with each other before any rival - emphasizes competitor . Read more: ELBRUS RACE - Zatorska 2016 - running after dreams. Elbrus Race needs Your help! Over the years, the competition proved to be the real international festival of climbing! Just this year (2016) we expect athletes and even entire teams from Russia, Belarus, India, Indonesia, Poland, the USA, Mongolia! All absolute speed record to climb Elbrus fixed on our competitions! International Elbrus Race - it's certainly about the sport, but not only that, it is also a meeting place for different generations of climbers - where could You ask questions and talk easily with ER chief marshall Vladimir Shopin - the legend of the Soviet mountaineering and climbing, the Everest-1982 expedition member? Unfortunately, at the last moment, the competition proved to have no general sponsor ... company which supported the competition over the last few years, at the last moment not confirmed its sponsorship! 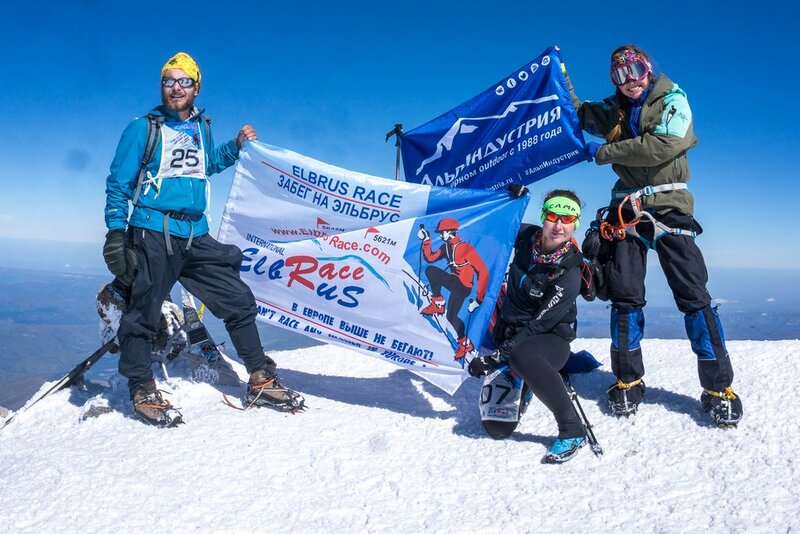 Read more: Elbrus Race needs Your help! XI International Elbrus Race - "You can't race any higher in Europe!!!"! Attracting the attention of world climbing community to the rich possibilities of recreation in the Elbrus region in particular and at the Caucasus in whole, which is especially important in view of large investments allocated by the Government on the development of tourist infrastructure in the Caucasus! Elbrus, the highest peak of Russia and Europe, is 12 km from the Main Caucasian ridge. The regular shape of its volcanic cones and slopes above 3000 m covered by glaciers, are a kind of mountain stadium. Race route follow the normal route: Azau medow - "refuge Barrels" – Pastukhova Rocks - Saddle - Western Elbrus. Since 2015 the NEW distance was added to Elbrus Race: "Boukrev Record" one and now anyone can compete with fantastic Anatoly Bukreeva result: 1 hour 47 minutes from the Priut 11 to East Elbrus!! In mid-September to multi-year statistics of weather in Elbrus is a good and stable, and tourists have significantly less! Also at this time on the ascent route with high probability will not be extended parts of ice. Date of Competition "attached" to the full moon (16/09 at year 2016) , so every year it moves, but within two or three weeks. On the Full Moon there use to be good windless, sunny weather, and at night the full moon creates additional lighting. up to 09/09/2016 at the office of "Top Sports Travel" (with e-mail or through an application form, 11/09/2016 in the hotel Elba; on 12/09/2016 morning in the meadow Azau, the same day afternoon and evening at the refuge Barrels; latest on 13/09/2016 at the refuge Barrels just before the Qualification Start. 13/09 at 11:00 am Qualifying race start from the hut "Barrels" on the Rocks Pastukhova 4800m will - Garabashi, hut "Barrels", 3708 m.
15/09 – IX international Elbus Race is held in 4 classes: "Extreme", "Classics", Boukreev Record and "Tourism"
In case of inclement weather on the day of the competition organizers reserved one extra day on 16/09/2016. Competitors should take into consideration that day when booking a return ticket. The time of the competitors will be defined from the starting time to the reaching of the finish line set y Marshalls on the top. The competitors are considered finished if they reached the section line independently and descended down to the starting place not later than at 16.00!